Our teams of specialist TV aerial installers and fitters provide a comprehensive range of TV aerial and satellite services in Harrow on a same day or appointment to suit basis. We have provided digital aerial and satellite services to the local community since long before the digital switchover was conceived but have adapted to quickly become one of the country’s leading digital technology specialists. With the introduction of the multi-channel digital services from Freeview and Freesat there has never been such a choice for Harrow’s residents to choose from but so much choice can make it difficult to make the right digital entertainment choice to suit your requirements or budget. We install and repair hundreds of TV aerials for Freeview digital and terrestrial TV on a daily basis giving us a wealth of experience that just cannot be matched by our competitors leaving us best placed to offer comprehensive and impartial advice. Whether you require a complete digital installation, a simple aerial repair or maybe an extra point in the kitchen give us a call and we’ll be happy to help. 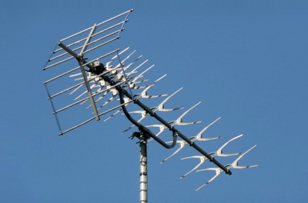 Upgrading your aerial for digital TV reception is straightforward. All you need is a compatible receiver from Freeview (your TV may have one built in) and a digital aerial to pick up the digital broadcast signal. We will advise you on the best option to suit your requirements and promise that the advice will be impartial. 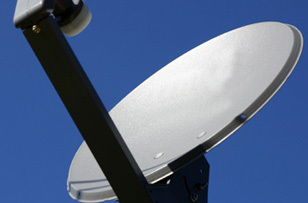 Whether you are looking for a new satellite installation or simply a repair to your Hotbird, Foreign language or motorised dish we can have an experienced technician with you within just a few hours of your call. If you cannot decide between the subscription offerings of Sky and the free to air service from Freesat we will help you understand how they differ and help you make the right decision. TV Aerial Installations, Digital TV Aerial Upgrades, DAB Radio Aerials, TV Aerial Repairs, Satellite TV Installation, Satellite Dish Repairs, Satellite Dish Realignments, Freesat Supply and Install, Freeview Supply and Install, TV Wall Mounting, Multi Room Installation, Extra Points, Communal Aerial Systems. 100% no quibble satisfaction guarantee. We have teams working in Harrow today so feel free to discuss your requirements with one of our friendly representatives. © 2018 Harrow Aerials & Satellites, All Rights Reserved.